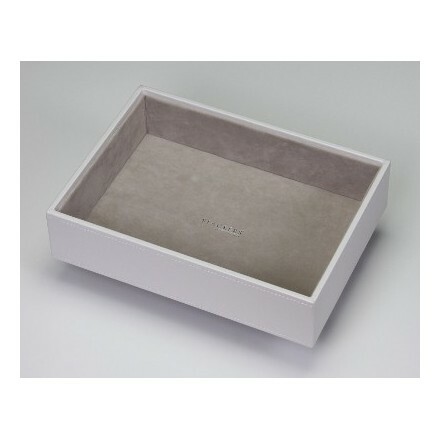 White deep stackable tray with one large compartment and grey velvet lining. 25cm x 6cm x 18cm (approx 10 inches x 2.4 inches x 7 inches). 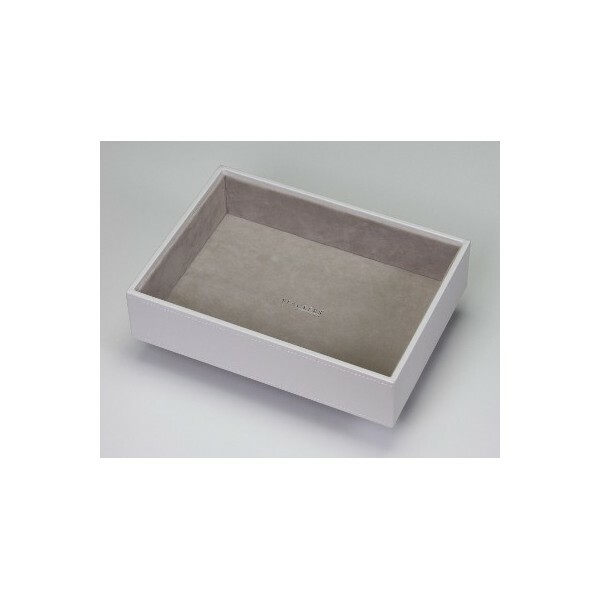 White deep stackable tray with one large compartment and grey velvet lining. Deep enough to store even the biggest items of chunky jewellery or other precious items. Offers flexibility in conjunction with our other stacking trays and lidded jewellery boxes.